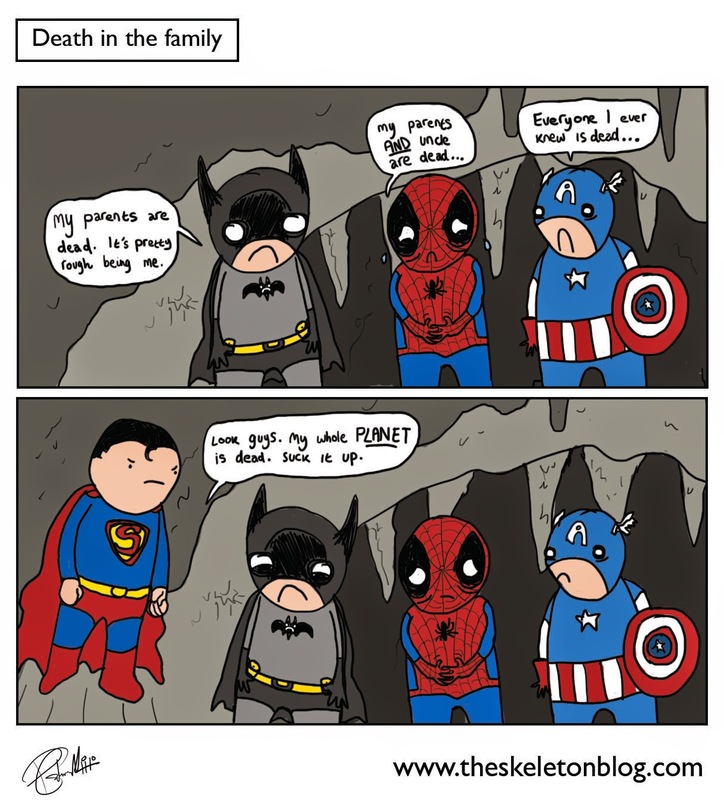 One of the key ingredients to being a superhero is dead relatives. Then you can go 'Noooooooooo!' and swear vengeance. My homelife's pretty good, no dead parents, I've not been bitten by nuclear insects, or frozen in time. Also I'm not an alien. I guess I'll just have to continue writing and drawing these stupid comics.